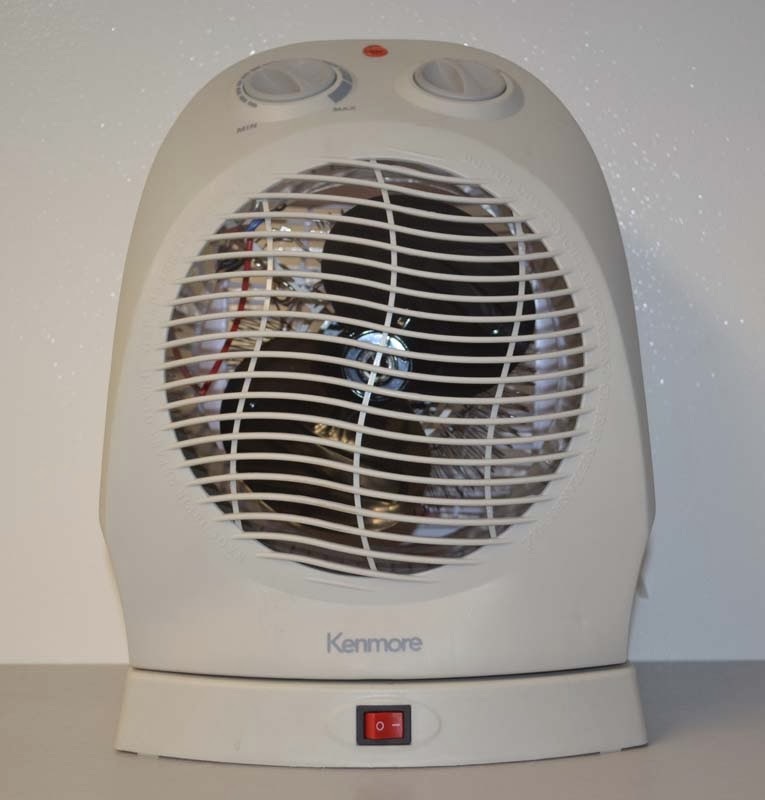 This recall involves Kenmore oscillating fan heaters with model number 127.90914310. The model number and Kenmore are printed on a silver sticker on the bottom of the unit. The fan heaters are gray and white, measure about 12 inches tall by 9 inches wide, have two dials at the top for temperature and fan speed and a red on-off button on the front base. Kenmore is printed on the front bottom of the fan heaters. Sears and Kmart have received seven reports of the fan heaters smoking or catching fire, including two reports of injuries. Injuries include one report of smoke inhalation and one report of a blister to a consumer’s finger. Consumers should immediately turn off and unplug the recalled fan heaters and return them to any Sears or Kmart store for a full refund. Sears and Kmart stores nationwide from September 2013 through November 2013 for between $35 and $40. Sears Holdings, of Hoffman Estates, Ill.
from 7 a.m. to 9 p.m. CT Monday through Friday, and 7 a.m. to 6 p.m. CT on Saturday, or visit the firms’ websites at www.sears.com and www.kmart.com click on Product Recall for more information.